I borrowed Learn to Weave by Anne Field from a Melbourne library and I am impressed. 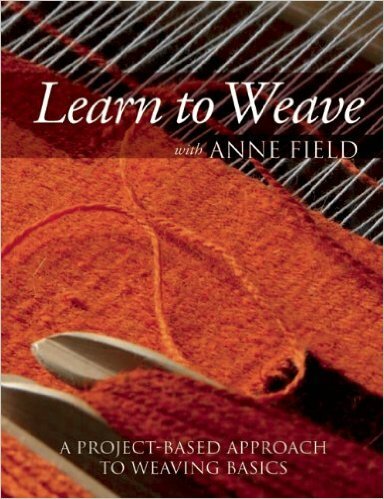 I wish I had had this book when I did my first learn to weave class because it is particularly specific and useful. It covered a few basic items I wondered about at the time such as how to join weft threads. It also described different shuttles and what uses each is best for, something I don’t recall seeing in other beginners’ books. The projects step you through the weaving a plain weave scarf, adding patterns in a set of place mats, and some lovely dish towels, plus some wearable projects. I’m personally less enthusiastic about the garments, though I’m impressed at how quickly the concept of double weave is introduced, as part of a wrap project. The projects are very well described and give you the specifics of the materials, to the level of how many grams of each yarn you require. There’s a lot to learn from those details as a new weaver. Sadly, Anne Field passed away a few years ago. She had a fine reputation as a spinner, weaver, teacher and author and was greatly admired. I plan to buy this book. The City of Melbourne has just opened a shiny new community centre to give inner city residents and workers a place to go. Inner city residents are mostly high-rise dwellers who pay plenty in rates (taxes) and it might be argued that their money is too often diverted to tourism promotion and business services, rather than to services for residents. The Boyd community hub is an exception and represents a significant investment in local amenities by the City of Melbourne. It’s also a great example of how wonderful an old building can be when you throw a serous pile of money at restoring it. The old JH Boyd Girls High School building dates from 1884. The red brick neo-gothic school building had been abandoned for years but, mercifully, had been preserved for its architectural significance. It now houses a cafe, art space, maternal and child health centre and library. The Boyd library is full of shiny new books as it is a brand new facility. By that I mean every single book is brand new. Even more remarkable is that the books are grouped into subject clusters and do not use the Dewey Decimal classification system. The Dewey Decimal system is actually older than the Boyd building, having been devised in 1876. For all its failings, it’s very familiar to all of us who visit libraries or have ever been university students. Let me tell you, walking in to a library that does not use the Dewey Decimal system seriously messes with your mind. For example in Cookbooks-Celebrity we had the whole pantheon right next to each other: Nigella Lawson, Jamie Oliver, Anthony Bourdin, and so on. It’s great for browsing, but I didn’t check what happens when you need to find a particular book. The acquisition policy for the new library seems to have been focussed on accessible modern titles, with plenty of foreign language books, magazines and DVDs. My beloved was disappointed by the paucity of woodworking titles and the quilting book I borrowed turned out to be, well, not that rich in actual content. I borrowed Modern Quilting Designs by Bethany Pease. It claims to offer 90+ Free Motion Inspirations. And indeed, it does offer this. And not much more. 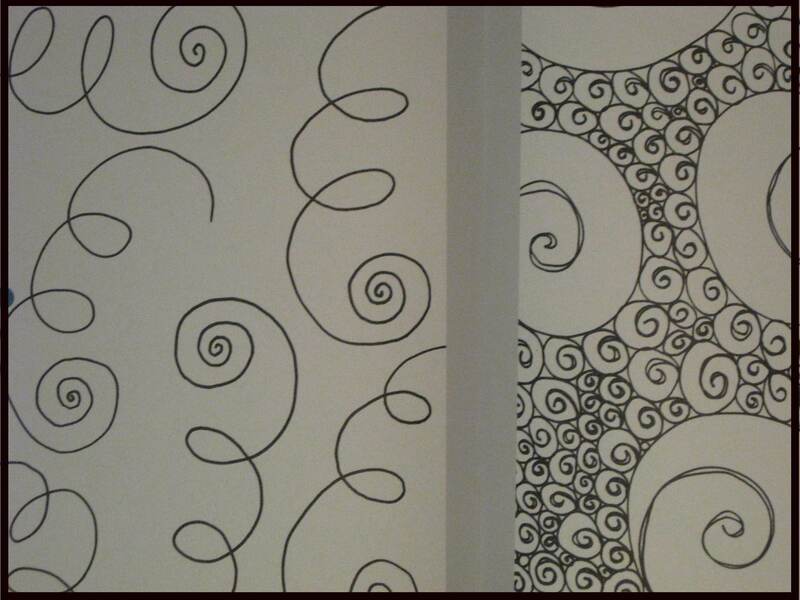 It’s a collection of what might unkindly be called doodles or what might kindly be called modern quilting designs. There is zero information about how to learn free motion quilting, how to start each line or travel the stitching within the quilt, or how to sew the designs that are not continuous. There aren’t even any photos of actual finished quilts made using the designs shown in the book, though we are told that the author funded her college education through long-arm quilting. Good on her for that and for getting a book published at all. That’s probably the secret dream of many of us bloggers. Would you pay $15 for a book full of these? I wouldn’t. 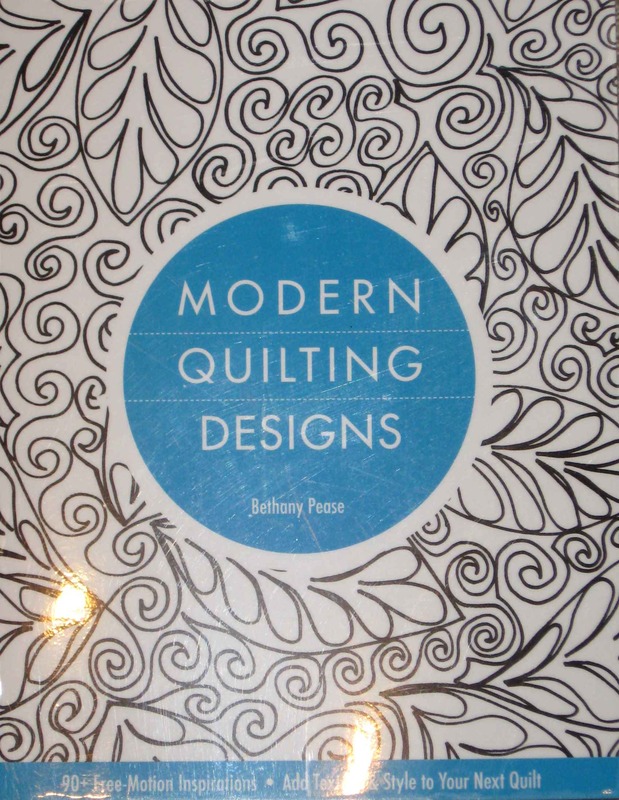 Recommendation: worth a look if you’re already a free-motion quilter looking for new design ideas. For the rest of us, don’t bother. If I’d paid US $15 at Amazon to buy this book, I’d be feeling ripped off right now. The question was what to do with my Gypsy Bandana pink fat quarter bundle. 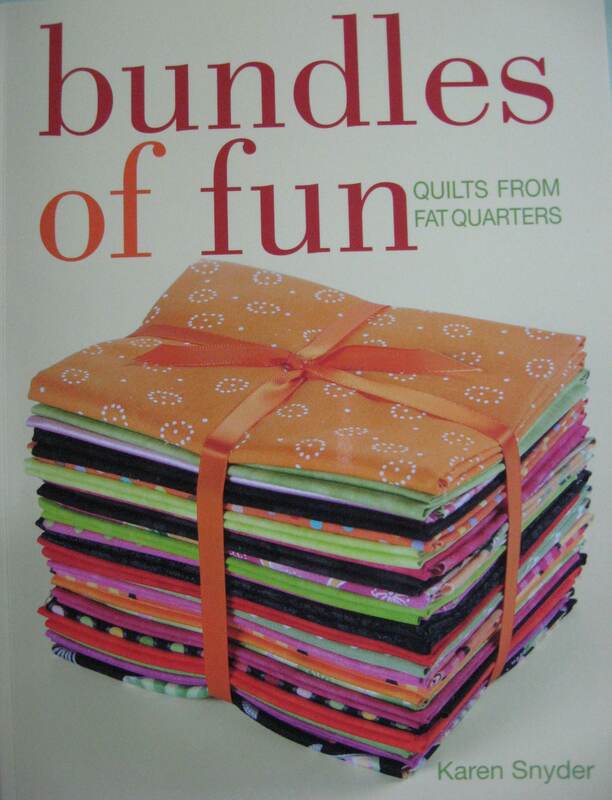 I’ve been thinking about that one for a while and I finally got my answer from Bundles of Fun: Quilts From Fat Quarters by Karen Snyder. The book cost a massive $5 at one of those remainders book sales, the kind where they temporarily fill a vacant retail space with a whole lot of (mostly crappy) books. At that bargain price I felt it was worth the risk and I’m confident I’ll get my money’s worth. Bundles of Fun has only a handful of reviews on Amazon, but they’re mostly positive. The patterns seem OK but I’m a little frustrated by the layout and organisation of the book. I’m also amazed that the author found a way to sneak in a photo of her wedding day. I wish her well but when I publish my book there certainly won’t be any wedding snaps in it. The Bento Box quilt pattern was described in two variations – one made with a single fat quarter bundle and the other made with two. I’m going for the larger sized quilt but may reduce it by one row of blocks as the recipient is still only seven years old and not that tall. I bought Prisma plains to complement the fat quarter colours. Can you spot the Ethical Choice? Hmmm. I assume the cotton was still grown in a mono-culture, mechanically harvested and chemically processed, before it was dyed the poisonous lime green colour I purchased. I wonder what the levels of carbon emissions and waste generation were in that process. Was I really making an ethical choice or was just supporting the latest trend in consumer products marketing? I don’t know. The lime green bled colour like you wouldn’t believe in the pre-wash stage, too. Day 2 of my pattern making class was slightly less frantic than the previous week but still packed with information. I worked really hard to complete my skirt in the week between classes and was surprised to discover that some class participants hadn’t finished theirs as they didn’t have the skills to make a vent or sew on a waistband. Others just couldn’t get the job done in time, something I completely understand. Making a skirt in a week is a big ask if you’re not a professional and have a full time job doing something else. I made my skirt up in a lightweight synthetic fabric from Spotlight’s remnant bin. It turned out OK and it was very satisfying to find it fit well, was the right length and didn’t need to be altered during the construction process, other than resewing the darts to widen them a little. I think that was more down to my sewing than a problem with the pattern. I wore my new skirt to a family event on the weekend and was happy with how it felt, though I did notice that a small fold formed just below the waistband. I’ll come back to the fix for that, later. In class two we made our own pants and bodice blocks. The bodice block is a cardboard representation of our torso and is not a pattern so our tutor showed us how to use it to make a pattern. It may not be evident from the photo, but the dart markings would run onto each other in a very messy way if you tried to sew them as indicated on the block. You’d also end up with a very pointy bust point. Think Madonna in her John Paul Gaultier corset, but uglier. Made up, the bodice pattern would make a tight fitting garment and we were told to add an open ended zipper to get in and out of it, and to make facings so the armhole and neck wouldn’t stretch. I’m curious about how I would use this block to make a princess-style bodice. Seems the Burda site has a tutorial. Must read it in detail. I’m really sorry we didn’t get time to draft a sleeve block. That would have been useful, but our tutor told us that would take another day to learn. I feel I am now armed with enough knowledge to alter commercial patterns and get back to dress-making. As part of this journey I have looked into several books about pattern alteration. The one I bought is an OK basic reference and would be more than adequate for a relatively ‘normal’ shaped beginner, but it did not cover my particular alteration requirement, the one which caused a little fold to form under the waistband of my skirt. The diagnosis for that fitting problem is that I have a slightly rounded tummy, something that happens to many of us as we age and spend too much time inside sewing. I’m trying to address that with diet, but am making slow progress, so a pattern alteration is needed solve the problem in the immediate term. Fast Fit by Sandra Betzina covered the necessary alteration, plus just about every other and it’s the book I’d recommend. 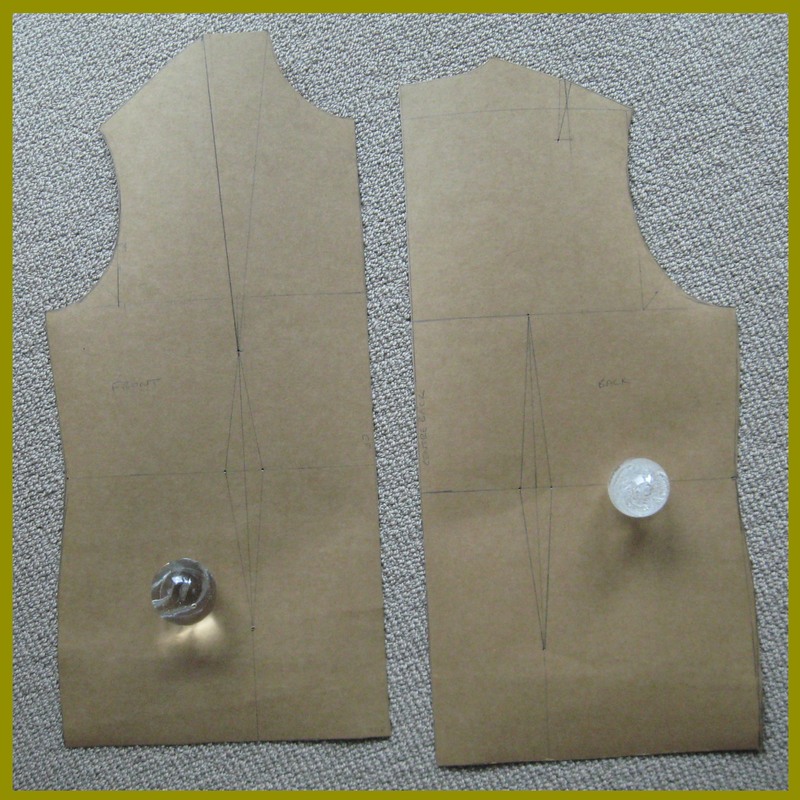 It takes a body part by body part approach, which is very helpful, particularly if you are dressmaking for others and need to know wide range of variations. Thick calves, big bottom, small bottom, sloping shoulders, they’re all there, with clear instructions on how to cater for each, along with instructions on which to tackle first. Armed with all this new knowledge, I’m keen to do more and learn more. Just for fun, I’d like to make a middy blouse. It will be the perfect garment for when we launch the new canoe. The Council of Adult Education in Melbourne’s CBD offers an introductory course in pattern making, covering a range of professional pattern making techniques. I’ve signed up and I can’t wait to start. I chose the CAE because they offer pattern making as a two day intensive, running on consecutive Saturdays. The CAE course guide promised that we would get to make a basic skirt, slacks and bodice blocks to our own measurements, make patterns for various skirt silhouettes, learn various style tops (they weren’t very specific on this) and how to alter a block to suit various figure types. In order to prepare, I went to the library and borrowed Metric Pattern Cutting for Menswear by Winifred Aldrich. I’m not particularly interested in sewing menswear but I figured the basic principles would be the same. Besides, it was the only related book that wasn’t out on loan at the time. Pattern making books are hard to find at the library and expensive to buy at the bookshop, it seems. I visited RMIT University’s bookshop to check out the pattern making and tailoring books there and subsequently placed an order on Amazon for How to Use, Adapt and Design Sewing Patterns by Lee Hollahan. I feel guilty whenever I preview a book at a physical bookstore and then buy it on line, but the price differential is so great that I simply couldn’t own the books I want any other way. To put that comment in context, we’re talking about as much as double the price from a bricks and mortar store. Book distribution in this county is very messed up. I’m counting the days to my book order arriving and will post an update after the class starts. I’ve just got back from vacation so am glad to have something new to anticipate. This book was a impulse purchase, but a modest one at less then $30. 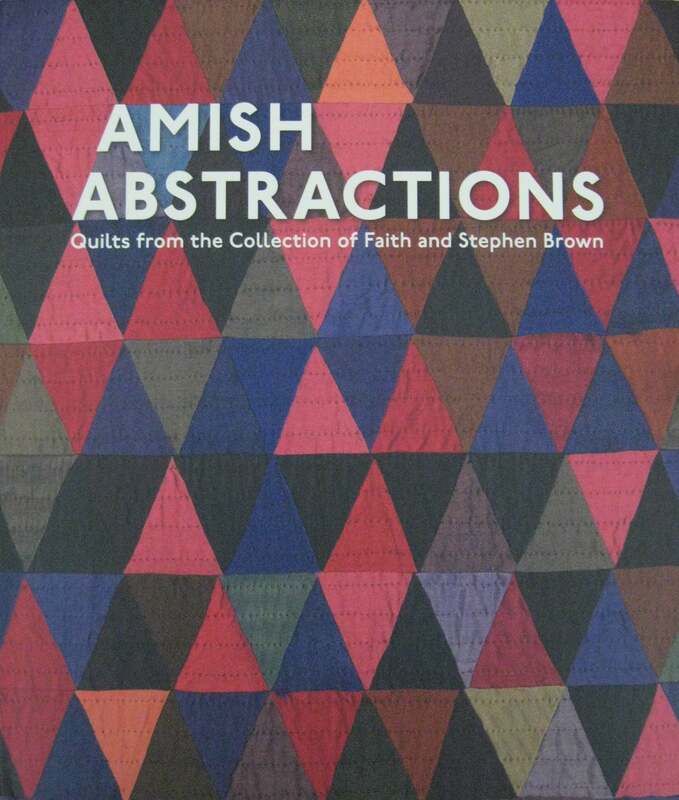 I’d recommend buying it for the pleasure of looking at the quilts in the collection and drawing inspiration from them. This book is a beauty. It’s published by Pomegranate, the quality of the printing is great and the photos of the quilts are truly wonderful. It was published as an exhibition catalogue so there aren’t any patterns but it’s still a lovely book to own. 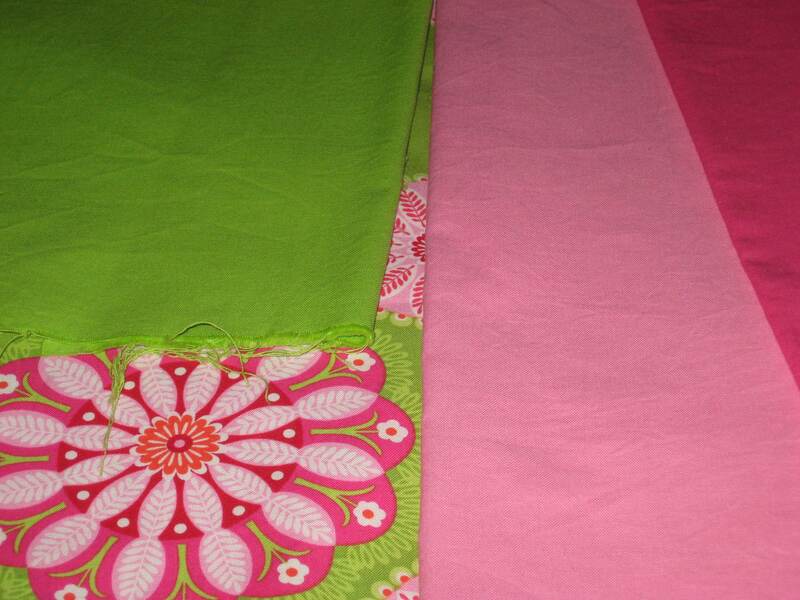 I must, must, must put some time aside for a quilt or two made in unprinted fabric. In general I find them more visually arresting than those made with printed fabrics. I borrowed a book from the library recently that had Amish inspired quilt designs and that book had a pattern for a bear paw block quilt set on point that was dynamic and beautiful and yet at the same time plain. It’s on my ever-growing quilt project list but is a long way down that list at this stage. After 3 weeks of waiting, not very patiently at all, Pam & Nicky Lintott’s Jelly Roll Quilts has finally arrived. I’d heard good things about his book and from my first look through it, I don’t think I’m going to be disappointed. I’m very keen to try the braided quilt that features on the cover of this book, but I’m going to need some supplies first. For some reason that I don’t fully understand, jelly rolls seem to be very expensive in this country. Maybe it’s just that I haven’t found a reasonably priced supplier yet. Until I do find a reasonably priced local supplier, I’ll most likely buy from a US online retailer. Even with postage costs I’ll probably win on that one and there is so much more of everything to choose from in the US. The book also recommends the Omnigrid 98 and 96 rulers which are both quarter square triangle rulers but with the lines going in different directions, parallel to the longest edge in one case and perpendicular to the longest edge in the other.